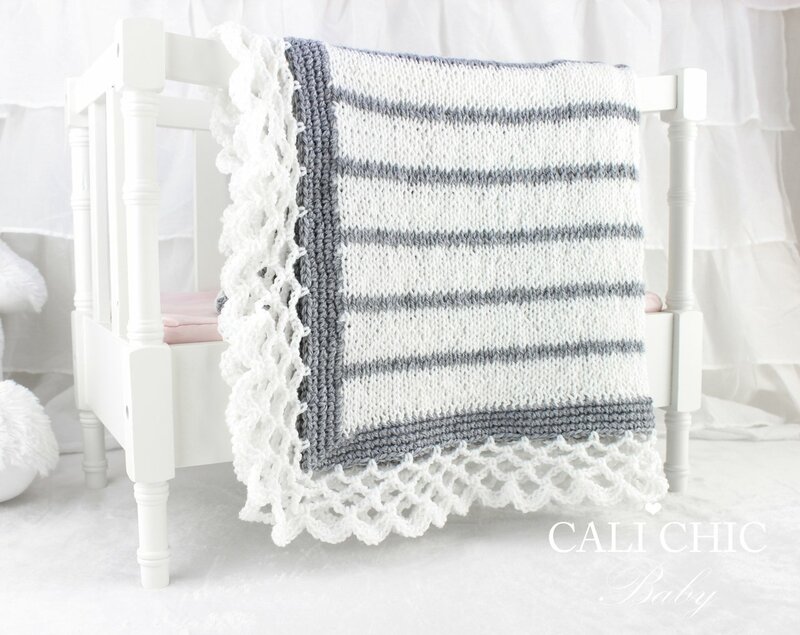 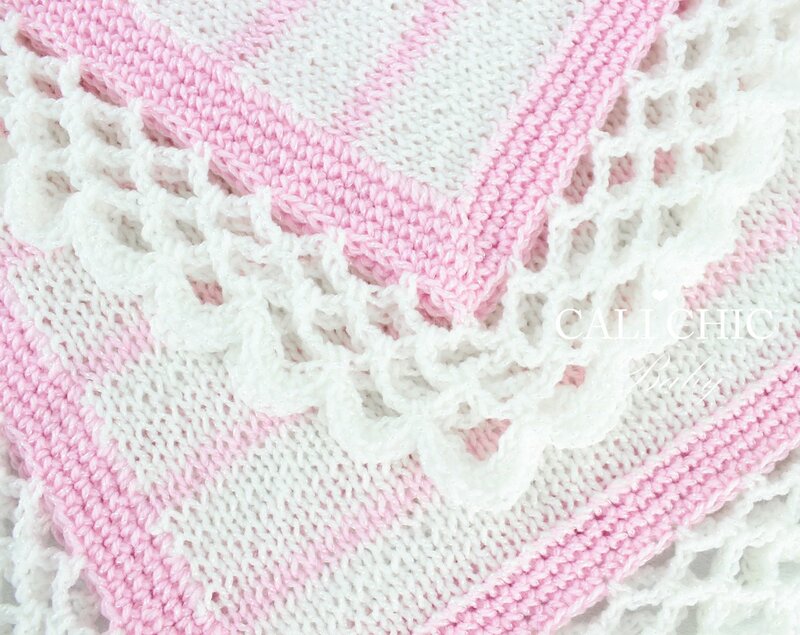 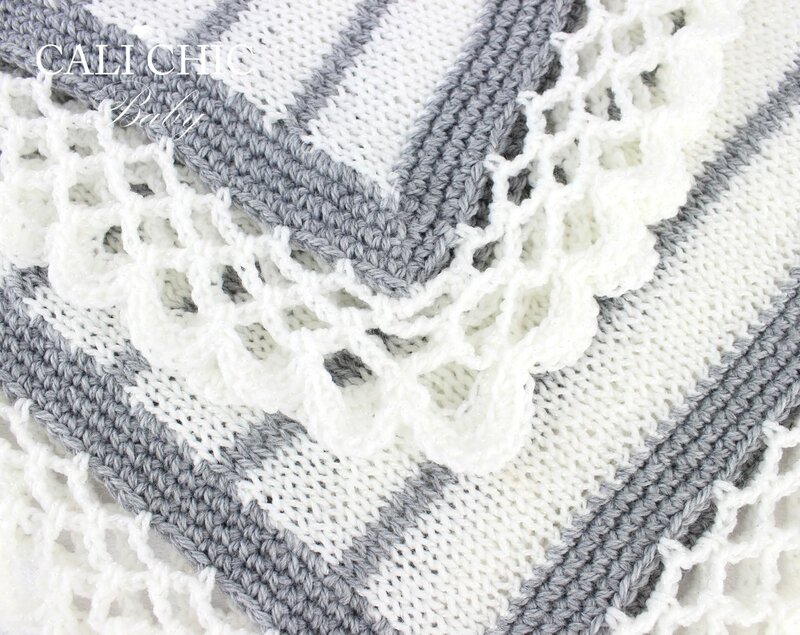 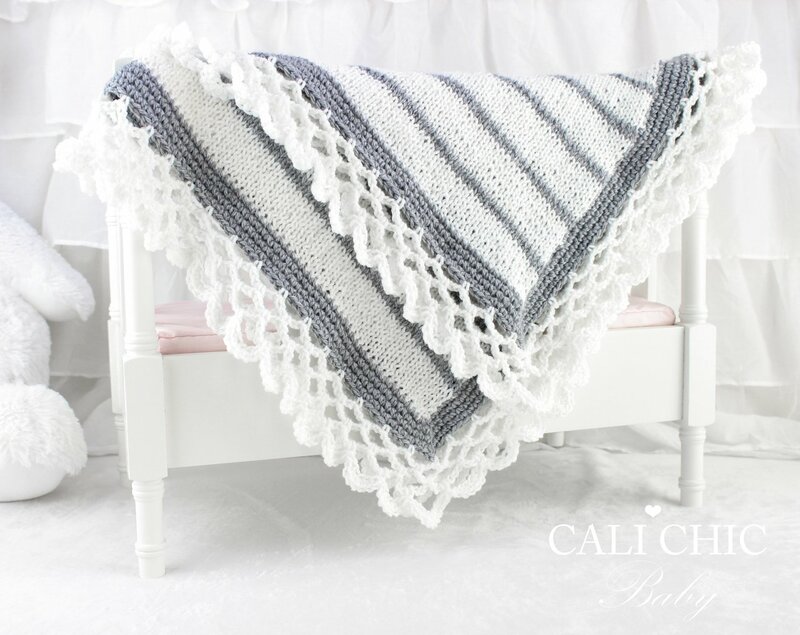 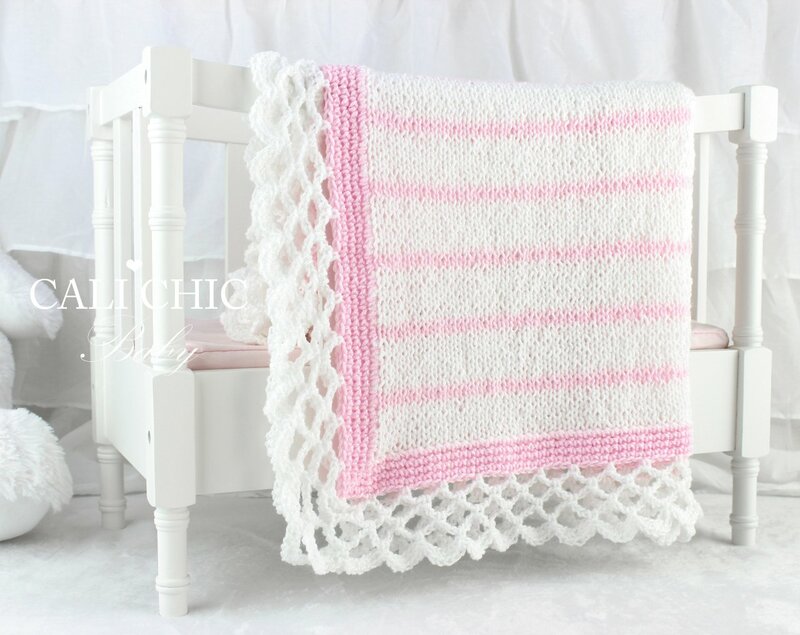 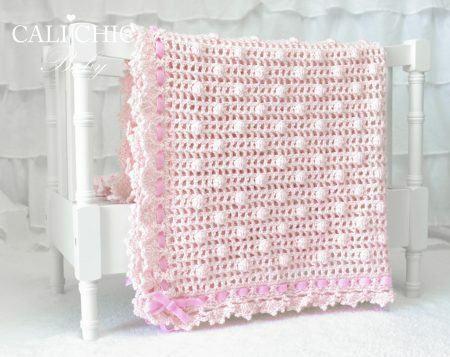 ♥ KNITTING pattern for beautiful Crystal Lace baby blanket with delicate, CROCHET lace trim. 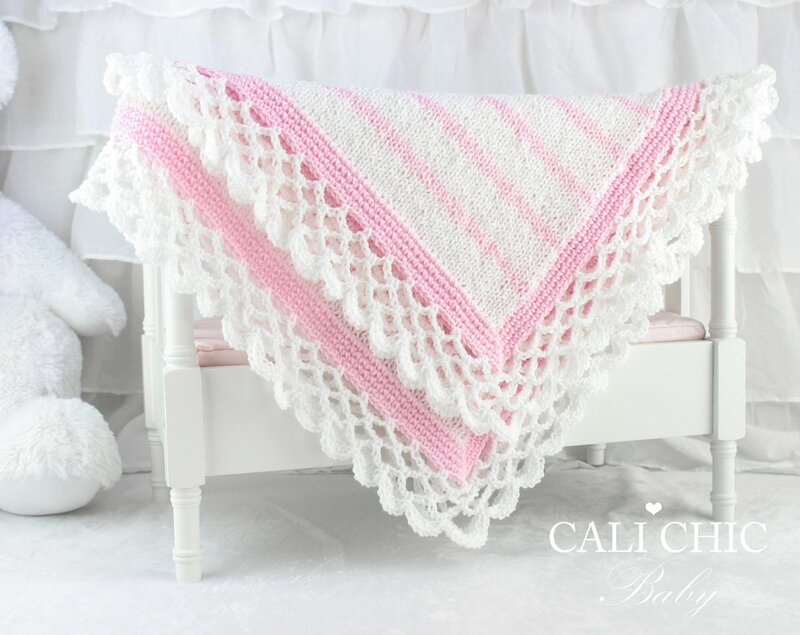 It will make a welcome baby shower gift for new moms, or a delightful keepsake within the family for your little miracle! 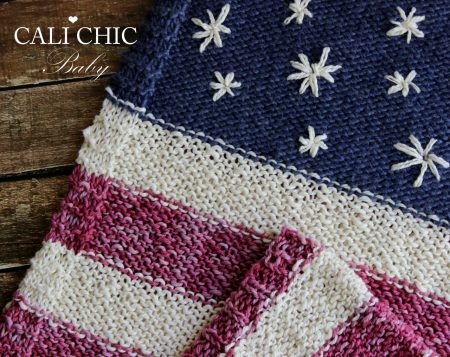 ♥ Pattern provided makes a blanket “approximately” 32 x 32 inches, knitted with specified yarn and gauge. 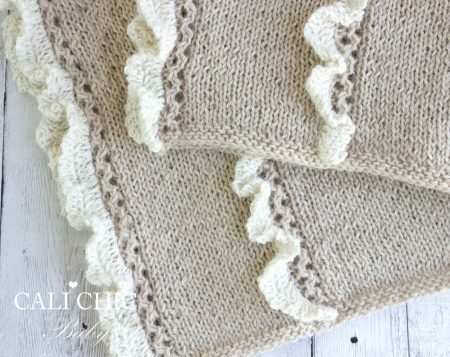 ♥ Skill level – Easy if you have basic knitting (knit/purl) experience.